CameraFTP is a leading Cloud Surveillance and Recording service provider. This APP is NOT just an app, it is part of our home & business security service! 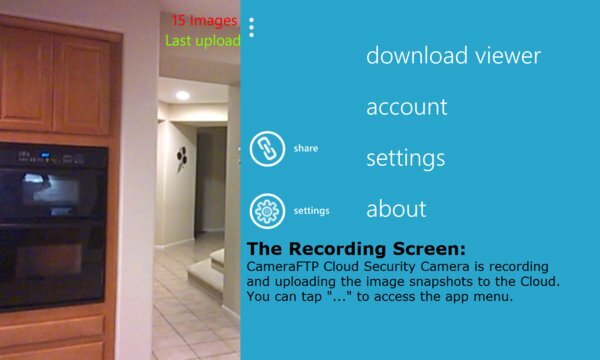 CameraFTP Mobile Cloud Security Camera can turn your phone into a security camera that records data to the Cloud. It is more secure than a regular IP camera. The app is free with limited recording parameters. The paid Cloud Recording service starts at only $1.50/month. You cannot find a home security / surveillance service that is priced lower! You can also use a real IP camera, or a webcam as an IP security camera. 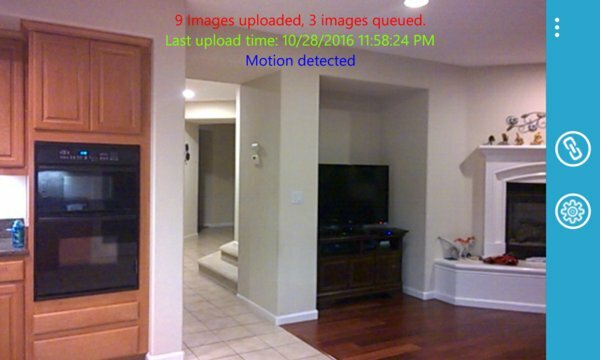 CameraFTP.com offers optimized FTP storage service for security cameras. A security camera is not secure unless it records data remotely. CameraFTP's Cloud recording and playback service is extremely secure. An intruder can destroy your camera, but he can never delete the recorded data in the cloud. CameraFTP Viewer is available on all devices and all web browsers. Whether it is for home security or business security, CameraFTP service is easy, secure, convenient and extremely affordable. Starting at only $1.50/month, CameraFTP offers far more and better features than traditional security services. It is extremely easy to setup, supports most IP / network cameras, and you can even use a webcam or a smartphone as your security camera. Your data is stored in CameraFTP's secure data center, it is more secure than other security services. You can remotely monitor and playback the recorded footage. You can also share or publish your cameras for other people to view. CameraFTP is a subsidiary of DriveHQ (Drive Headquarters, Inc.) Based in Silicon Valley, DriveHQ has been in business since 2003 with over 2.5 million registered users.